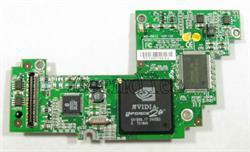 Dell - Inspiron 5100 5150 5160 Dell Inspiron 5100 5150 5160 Series 32MB NVidia GeForce FX5200 NV34 Laptop Video Card M5322 0M5322 CN-0M5322. 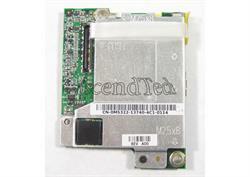 Dell - 00G777 NVidia GeForce 2 Go 16MB Video Card Module for Dell Inspiron 8100 / 8200 and Lattitude C810 / C840 Laptop Computers. Lenovo - Nvidia GeForce 310 Lenovo Nvidia GeForce 310 512MB DMS-59 PCI-Express Low Profile Graphics Video Card 89Y9227. 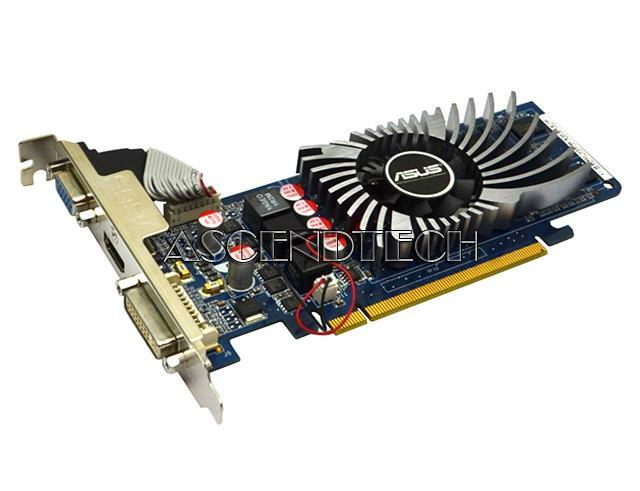 Hewlett Packard - ASUS NEON GeForce 8400 GS HP ASUS NEON GeForce 8400 GS 256MB DDR2 Mini DIN-4 DMS-59 PCI-Express x16 Graphics Video Card 464762-001. 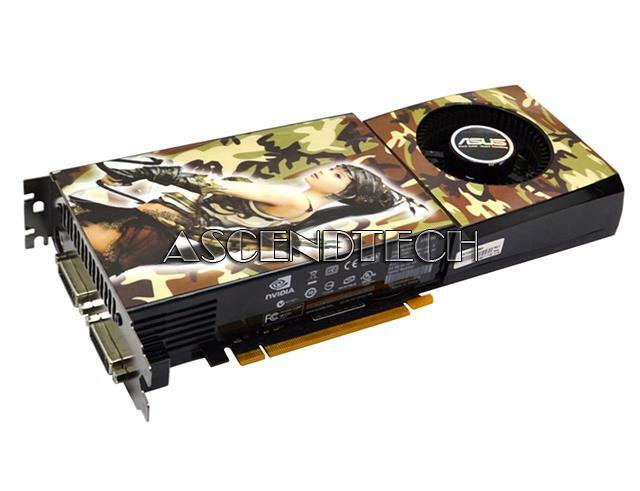 XFX - GeForce 8400GS XFX Nvidia GeForce 8400 GS 512MB DDR2 DMS-59 S-Video PCI-Express 2.0 x16 Video Graphics Card PV-T86S-YMFC. 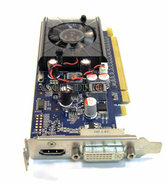 Nvidia - GEFORCE 6800 Dell nVidia GeForce 6800 256MB GDDR3 PCI-Express x16 Graphics Video Card MG229 0MG229 CN-0MG229. Hewlett Packard - Nvidia GeForce 310 HP Nvidia GeForce 310 512MB DDR3 DisplayPort DVI PCI-Express x16 Graphics Video Card 572029-001. 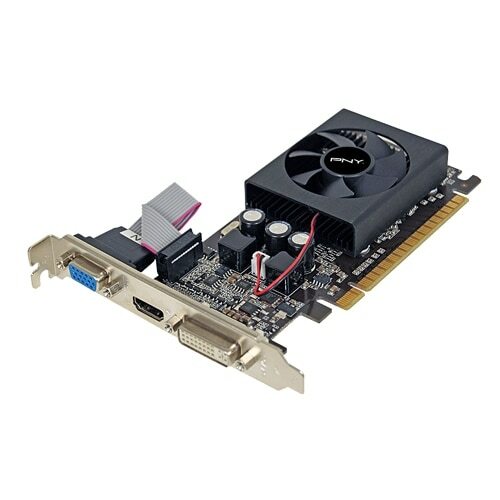 Dell - Nvidia Geforce G310 Dell Nvidia Geforce G310 512MB DDR3 PCI-Express Low Profile Graphics Video Card TFD9V 0TFD9V CN-0TFD9V. Zotac - GeForce 210 Synergy Edit Zotac GeForce 210 Synergy Edition 512MB TC1G DDR2 HDMI DVI PCI-Express Low Profile Graphics Video Card 288-10N44-440ZT. 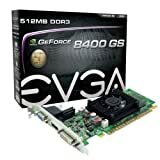 Nvidia - GeForce 9800GT NVidia GeForce 9800GT 512MB DDR3 Dual DVI HDTV PCI-Express x16 Desktop Graphics Video Card YM3J9 0YM3J9 CN-0YM3J9. Hewlett Packard - nVidia GeForce G210 nVidia GeForce G210 512MB DDR2 HDMI DVI Video Card. 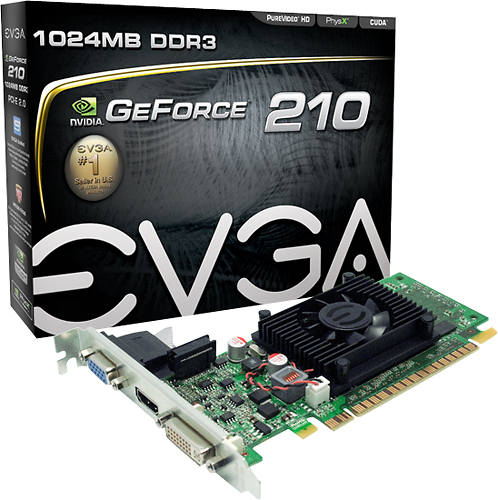 Nvidia - GeForce G210 HP nVidia GeForce G210 512MB DDR2 VGA HDMI DVI PCI-Express 2.0 x16 Full Height Graphics Video Card 533207-001. 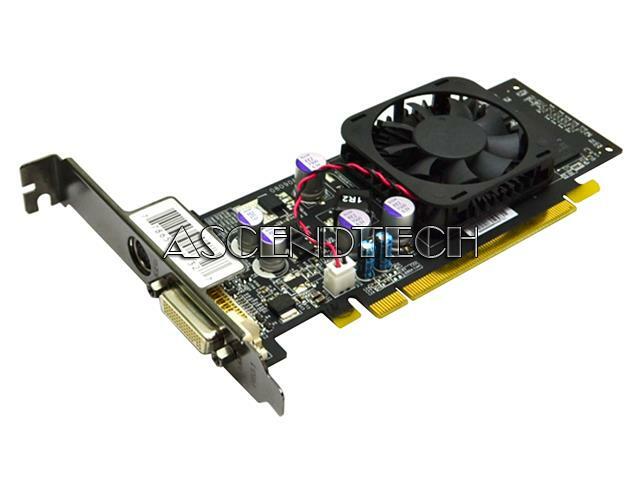 Dell - Nvidia GeForce 6800 Dell Nvidia GeForce 6800 256MB 4 Pin S-Video D-SUB DVI PCI-Express Graphics Video Card JTF63 0JTF63 CN-0JTF63. Asus - Nvidia GeForce GTX 260 ASUS Nvidia GeForce GTX 260 896MB GDDR3 Mini Dual DVI S-Video PCI-Express 2.0 x16 Video Graphics Card ENGTX260/HTDP/896M. 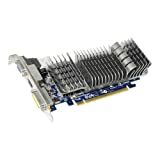 Asus - Nvidia GeForce GT 220 ASUS Nvidia GeForce GT 220 1GB DDR2 D-Sub HDMI DVI PCI-Express 2.0 x16 Graphics Video Card ENGT220/DI/1GD2(LP)/A. 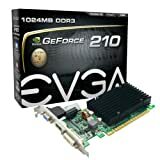 eVGA - - GeForce 210 1GB DDR3 PCI Express 2.0 Graphics Ca This graphics card features 16 processing cores and a 520MHz core clock speed for fast efficient operation. The DirectX 10.1 and OpenGL 3.1 support provide an ultrarealistic gaming experience.